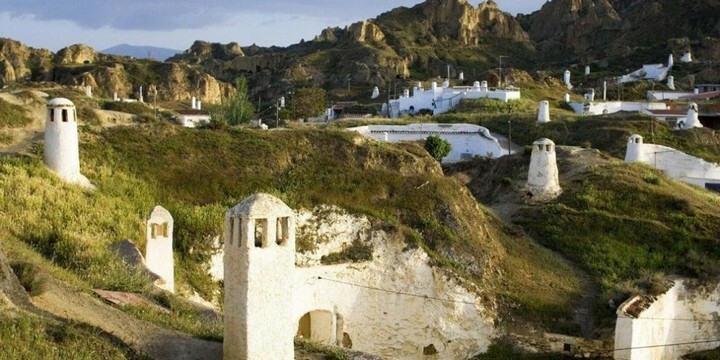 Since Moorish times, half of this city’s population (called by the locals “troglodytes”) live in underground spaces made by human hand. 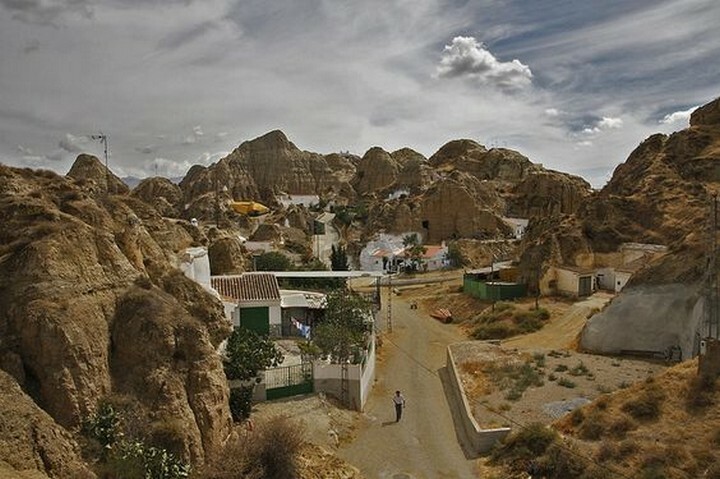 Welcome to Guadix, a town in Europe made up of cave houses carved in tuff rock. 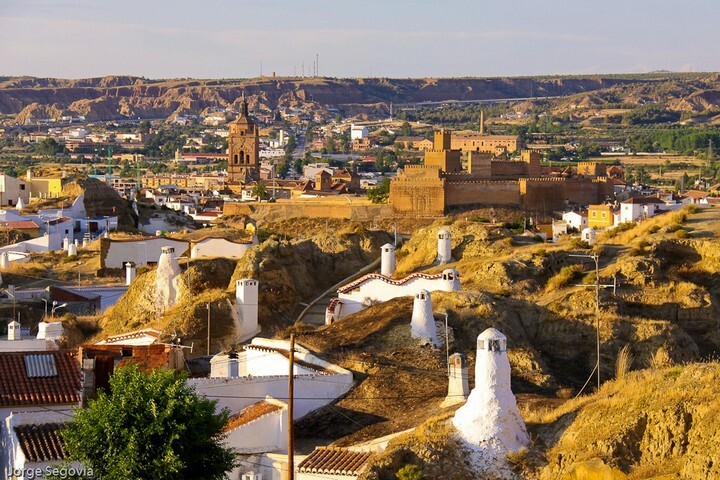 Guadix is situated in southern Spain, in the Andalusian province of Granada, on an elevated plateau along the foothills of the Sierra Nevada Mountains. 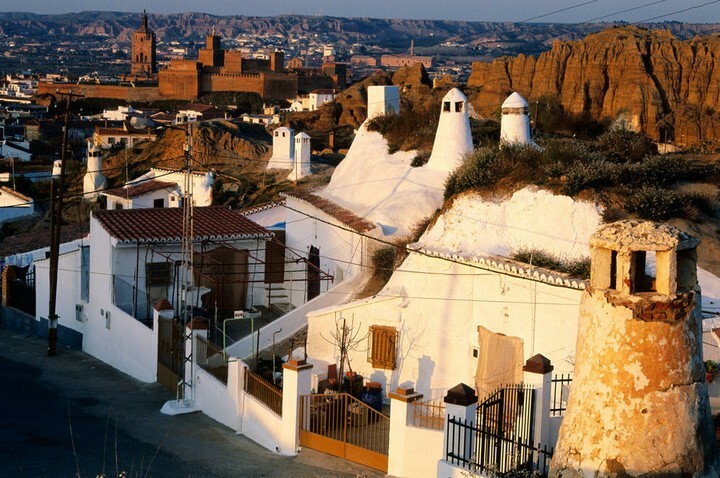 The closest city to Guadix is the lovely Granada, located 50 km away. 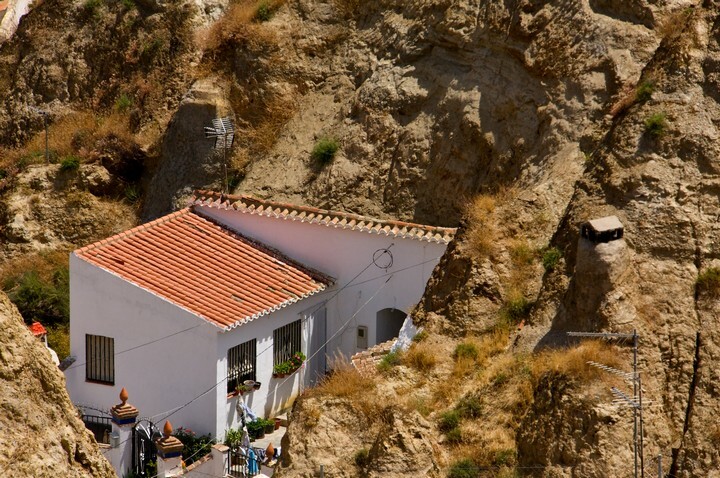 When you enter this town in Southern Spain, nothing seems to warn you about the wonders that lie beneath. 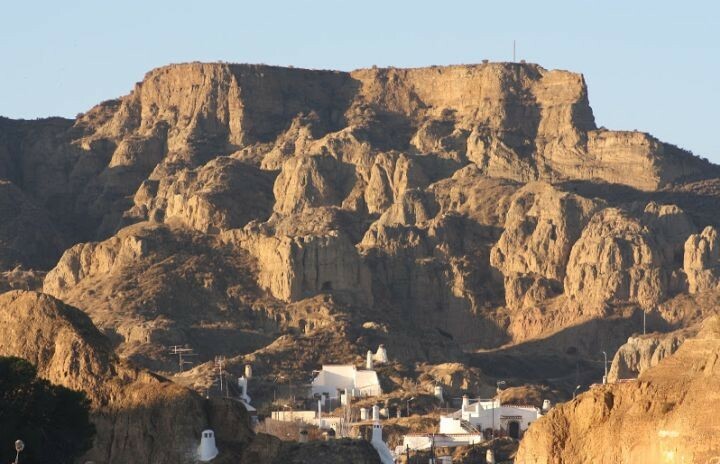 As you move forward on the main street, a road sign will indicate the way to Barrio de las Cuevas. 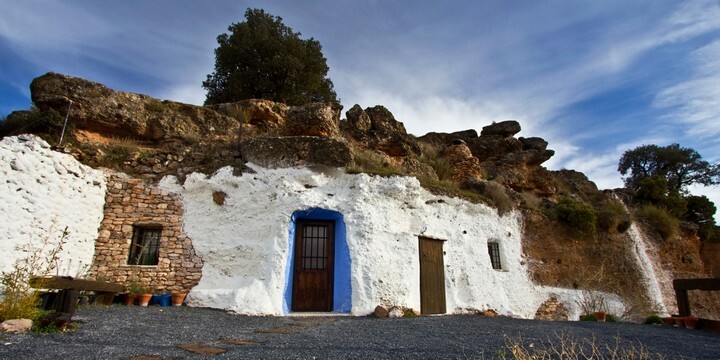 From here on, let yourself be wowed by images of great contrast: a mostly dry land colored in ocher complemented by whitewashed chimneys and doors to the house caves. 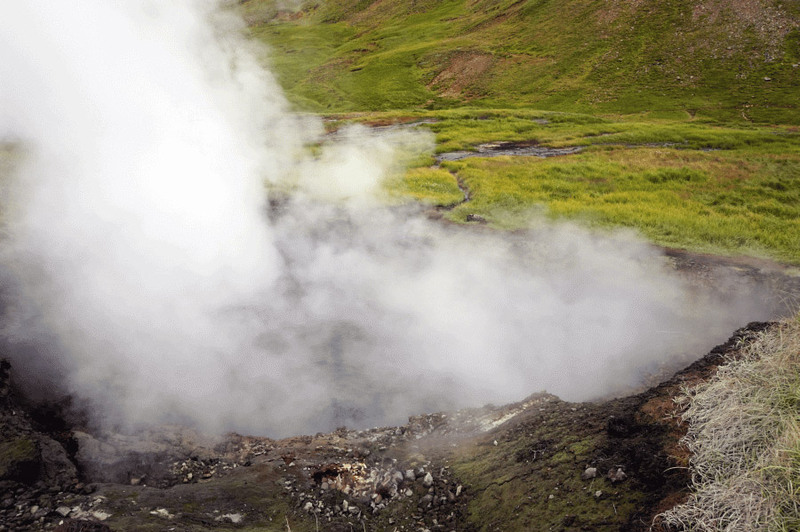 Snow-covered peaks of the Sierra Nevada mountains in the background add to the unworldly feel of this place. 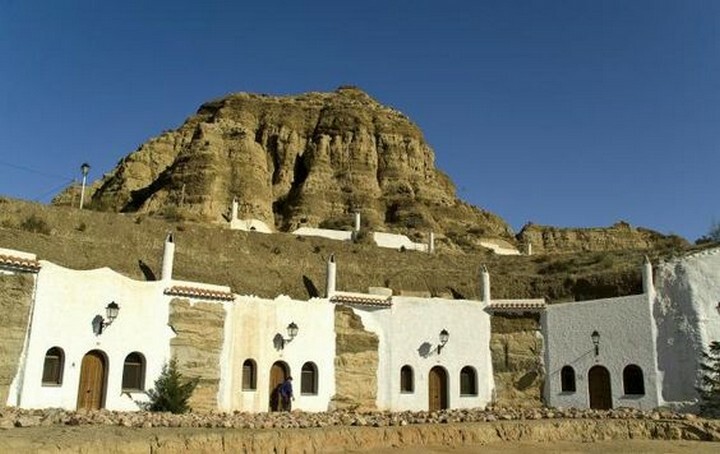 The temperatures are very high during the day, so these cave-dwellings have been the best option of hiding from the burning sun. 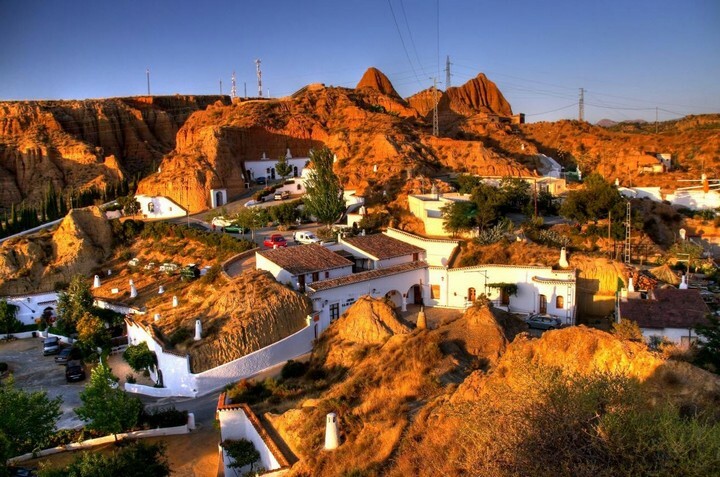 Guadix is most enjoyable in spring or early autumn, when the heat waves not in their peak. 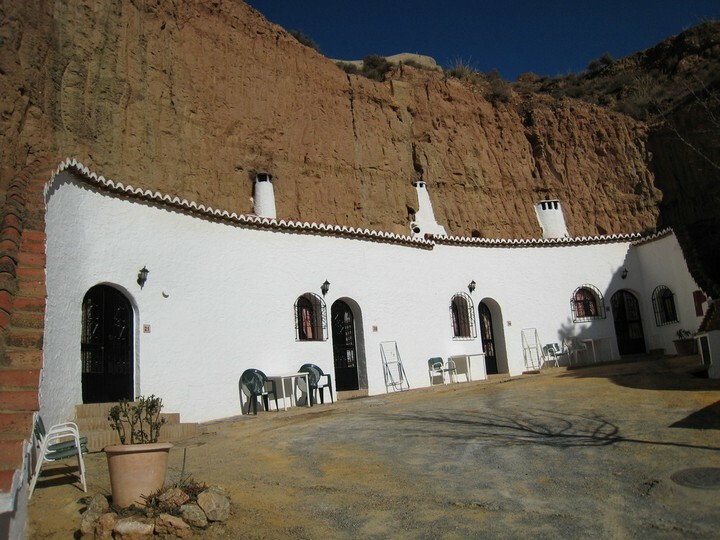 Nowadays, the caves in Guadix look like regular Spanish houses and some are quite luxurious. 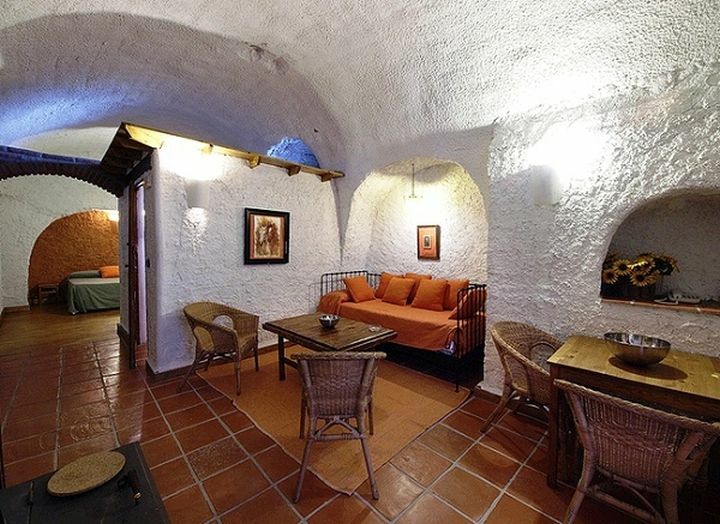 When planning a trip here, you can choose to spend the night in cave-like accommodation units, for an authentic experience. 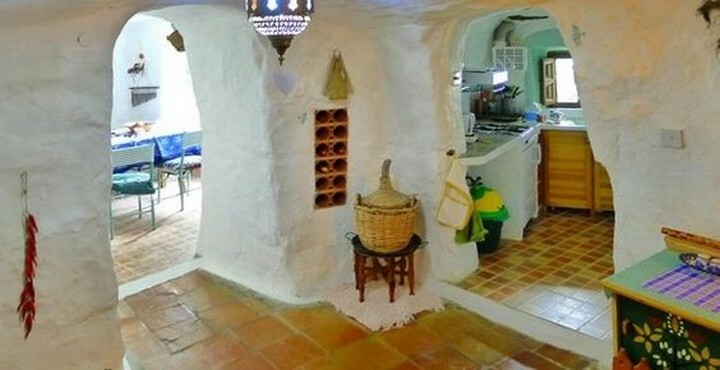 And be open to meet the “toglodytes”(a sweet name for the locals), as they are always willing to invite people over to showcase their cozy homes. 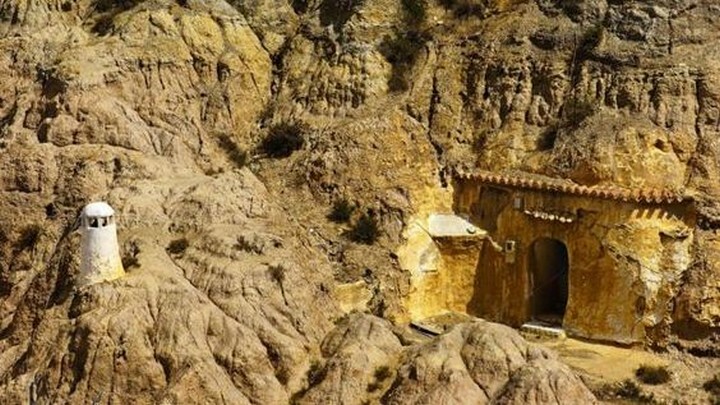 When traveling the South of Spain, make sure to also visit Ronda and Setenil, both covered on Tourism on the Edge a while back.